One among the biggest changes in the smartphone industry that we’ll get to see next year is handsets with 5G connectivity. With Snapdragon 855 with 5G modem getting unveiled, the race for 5G has officially begun. All smartphone makers want to be the first one to launch a 5G enabled device. And OnePlus is no exception to this. The company has fans and loyalists across the globe and being the first to launch a 5G smartphone will further strengthen its popularity. The company had announced in October this year that it plans to launch a 5G enabled smartphone and later confirmed that it would not be a part of its regular flagship lineup. This led to speculations that a separate lineup for 5G enabled devices – with an inflated price tag – will be launched by OnePlus. And now, OnePlus CEO Pete Lau has made another announcement about the upcoming 5G handset by the company. 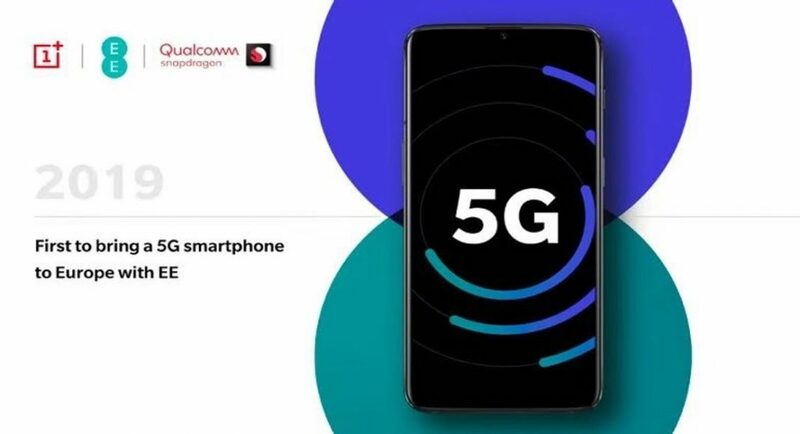 At the ongoing Qualcomm Snapdragon Technology Summit, Lau announced that OnePlus will be the first company to release a 5G smartphone in Europe, and has partnered with EE for the same. The release sent by the company also said that OnePlus’ next flagship mobile will be among the first to come with the Snapdragon 855 SoC. The news from OnePlus comes just days after Samsung announced its partnership with Verizon to launch a 5G device in the United States next year. Although the South Korean technology giant did not specify the name of its smartphone that will come with 5G capabilities, reports suggest that it will be an ultra-premium variant of the Samsung Galaxy S10 smartphone. Sometime back, it was reported that Xiaomi Mi Mix 3 is the first ever device to come with 5G connectivity, however, we should point out that the Chinese smartphone maker launched the 4G version in October. We will see the 5G model early next year. So, the race for 5G is still on and we are waiting to see who grabs the first spot.